Whole Foods and Boosting Real Estate Value — The CAZA Group: Search and Sell Homes the SMART Way. The Natural Food Effect has gained a lot of traction in the past years. 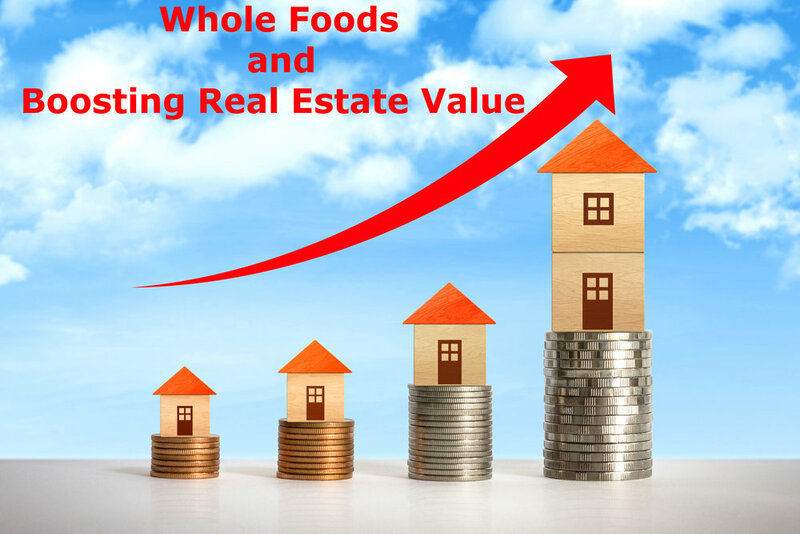 This effect claims that when chains like Whole Foods and Trader Joes, stores known for their higher quality/natural food, comes to an area; the Real Estate values in that area rise almost instantly. After researching this claim it turns out that… it’s TRUE! In order to properly look into this effect researchers started by observing the home values near those stores. As it turns out, not only have the homes been worth more than the median United States home, but in recent years the homes within a mile of these stores were valued at over twice the median home price in some cases. This is obviously a significant statistic to see but it just makes sense that these stores are located around more expensive areas given their price point, right? This thought led researchers to look into the growth of these neighborhood values. Since home values in relation to the U.S. median could just be due to the location chosen by Whole Foods, it is important to observe the appreciation of values near them. Between 1997 and 2007, the peak in U.S. home prices, the median home appreciated 90 percent. When we look at the same time period we found that homes near Whole Foods and Trader Joes appreciated by 141 and 161 percent respectively. A similar trend continued after the housing crisis showing that these stores are located near homes with more value which appreciate much faster. The final piece of information that researchers felt was important to look into was - what happens to home values after these stores enter a new area in relation to their values directly before? This is important because this information will show if Whole Foods and Trader Joes directly affects Real Estate Values or if they are simply going to areas where homes are booming. Once again, the research backs up this natural food effect. On average, 1-2 years before the store opens, home values within a mile of these future grocery chains were appreciating slightly slower than the surrounding city’s average. Then 1-2 years after the opening, the average values appreciated by 9-10 points. That data clearly shows that that the Real Estate Values rise for homes in close proximity to Whole Foods and Traders Joes - something to keep in mind as you do your home shopping!